Coming to a relation, it requires two individuals to carry it forward. You cannot expect your partner to make all the contributions towards making a fruitful relationship, neither it is your responsibility alone to make the relation work. 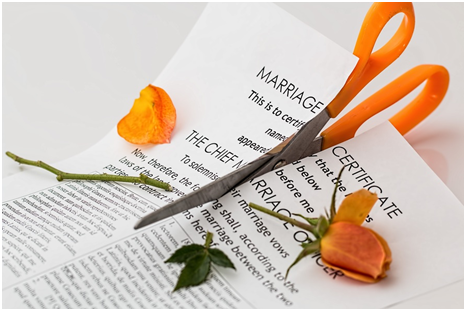 There can be different complications in a marital relationship and at times thing can be so grave which might prompt you to give up. However, if you are truly in love with your partner, then you would make all possible efforts to bring things back to normality move the relationship forward. It takes a lot to make a relationship prosper. Both of you must understand each other, respect each other’s needs and most importantly, make sacrifices. For that, you need to know and decide what are the things you would do and what you shouldn’t do in your relation. And what can be a better time than the love-filled Valentines eve to make resolutions on your relationship goals? Keeping this in mind here we have listed out 12 wed couple resolutions you should make this Valentine’s Day. Find these out and implement in your life to feel the difference. This is perhaps the most important thing in a marital relationship and thus it is the very first resolution that a wed couple should make. You must understand each other and be there when your partner needs you. It is not only about understanding his or her needs and demands but also to understand them as a person and their mental state at a given point of time. Compromising on your own interests or wishes is also a part of being understanding. Mutual cooperation is the key to success for any relationship. This is even more important when it comes to a married couple and thus this is the second resolution to make on this Valentine. There would be many ups and downs in the long path which you have planned to walk together. It is only through mutual cooperation that you would be able to overcome them. If you are cooperative towards your partner, then you can expect the same from him or her and this will make your relationship truly happy. You won’t be able to understand your partner and create a mental link if you are not his or her friend. More than anything else, it is very important to create a friendly relationship between the two which would help to gap the bridge. So, every couple should make this resolution to be the friend of their beloved first than anything else. Unless you are your spouse’s friend, you won’t be able to share your thoughts, griefs, and pains; neither your partner would feel comfortable opening up to you. At times, due to various reasons, you tend to behave rudely with your partner; that is quite understandable. However, if being rude is in your nature, then that is something you would need to work on. If you continue being rude towards your partner, it will start showing ill-effects on your relation. The ruder you would be, the more you are going to push him or her away from you. It is applicable for both of you. Being rude is not going to help; as a matter of fact, it is going to annoy your partner and make him defensive towards you. So, this Valentine is the right time for all the wed couples to make the resolution to refrain from being rude with your partner. Yes, he or she is your soul mate, but your partner has his or her own needs and interests as well. Unless it is violating the norms of a married relationship or your partner is doing something unethical, allow the person to pursue the individual interest or do what he/she loves doing. How would you react if you are being questioned on every single thing you do? That would be quite frustrating, isn’t it? The same thing is applicable to your partner as well. So, this is another vital resolution that you both have to make this Valentine’s Day. It is as simple as that! In order to have a successful relationship going, every wed couple must love their partner. This is the very basic requirement to have a happy and healthy marital life. It is also very important to make sure that you express your love towards your spouse and let the person know that he or she is someone very special in your life. Though your love towards your partner is something that will come naturally, this Valentine’s Day every couple should make a resolution to be committed and dedicated towards their partner and shower selfless love. You must let your partner realize that he/she has someone by side. Whenever the chips are down and your better half needs a mental support or someone to fall back on, make sure that you are there for the person. Though you are with your partner and stand by when the person needs you, still it is a good idea for every couple to make the Valentine resolution to be caring and be with your spouse in both high and low times of life. This is another very important aspect which you must keep in mind. At times there would be the difference in opinions and confrontation. You might not agree with what your partner has to say, but make sure you don’t dismiss it with utter arrogance. You must respect your partner’s opinion. Sometimes while continuing with relation one partner might divert from doing so, but a proper resolution to respect each other’s opinion made on Valentine’s eve will remind every couple whenever they tend to do otherwise. It doesn’t really cost much to utter a word or two of appreciation. Make your partner feel that you like how he/she looks, or the way that person takes care of you. Congratulate your spouse, heartily on the achievements. This would inspire and make the person go for more. This is a very important Valentine resolution that every couple should make to have a happy life. It is important to be rigid at times; however, it is equally important to be flexible. Don’t always impose your opinions and views on your partner. Remember, both of you have an equal share in the relationship. Make your husband or wife realize that he or she is a key person in the relationship and is as important as you when it comes to making some of the important decisions in life. While taking resolutions on your relationship goal this Valentine’s make sure to include this in the list. MUST READ How to Propose Your Crush on Social Media? Passion is an important aspect of any relationship and every married couple must make this resolution. No matter what you are doing; be it making love or being sympathetic towards your partner, you must be passionate. You must make your partner feel that you are not merely pretending to be the soul mate, but you really are. Your husband or wife would be able to figure out if you are doing it just for the sake of it! This is where things might get a bit complicated. If you love your man or woman, passion would come automatically. This is one mistake which most of the couples make. They tend to be judgmental and criticize their partners on the slightest of reasons. This is not a healthy sign at all! This would make your partner have a defensive attitude towards you, which would gradually move him away from you. So, make this last but not the least resolution on the upcoming Valentine Day along with your partner to get you marital life go on smoothly. These are the 12 resolutions that every married couple should make on this coming Valentine’s Day. It is all about cooperation and understanding. You won’t find these things to be very difficult if you really love your partner. Even if some of these things are not in you, in that case, you must make sure that develop them. It might take some time, but if you are really honest about it, you can certainly achieve these qualities. This Valentine’s Day would be the perfect occasion to make the resolution and start bringing about these changes in your relationship.